MetalRockNews: Iron Maiden's Bruce Dickinson: "The new boeing 757 is not big enough to accomodate our stage show"
Iron Maiden's Bruce Dickinson: "The new boeing 757 is not big enough to accomodate our stage show"
Iron Maiden's new private tour plane landed at Fort Lauderdale-Hollywood International Airport on February 19. Dickinson explained Iron Maiden's decision to upgrade to a 747: "The 757 is just not big enough for what we've got in mind in terms of a show. So what we've got on board at the moment is the stage show." 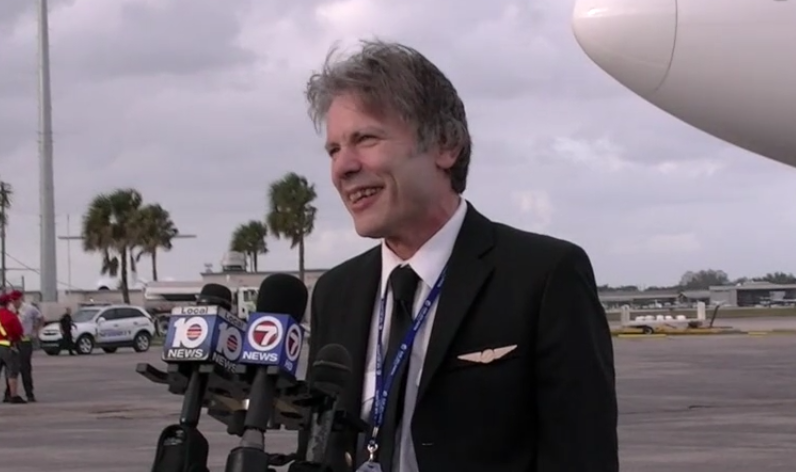 He continued: "I've actually been in Miami rehearsing for about two and a half weeks before this flight. So I actually flew back from Miami to pick up the airplane. And because it had been longer than a certain period, I had to jump back in the sim, do some landings and then fly the airplane over. So we pick up the rest of our equipment… In fact, we'll be spending tomorrow, basically, putting all the gear together and making sure it fits. Everything we need will be on the airplane, and all the technicians and baggage and everything else. We're going all around the world. I mean, we're doing some… I mean, [from] Perth, Australia to Cape Town [to] Shanghai to New Zealand. We're really going 'round the planet."